Written by Laurie, our Maine Campcierge™, who spent the weekend in Maine for Visiting Day at her daughters’ camp! You know those WOW weekends when you feel so upbeat and wear a perma-grin the whole time? … That was me this weekend!! 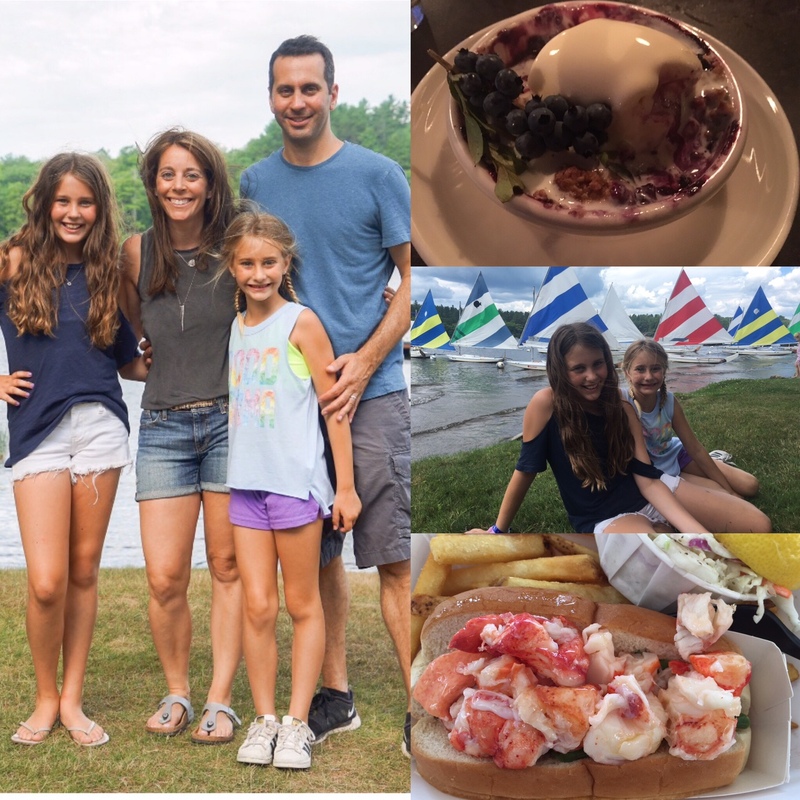 At camp Visiting Day in Maine, not only did I get to see and enjoy my daughters who were thriving, but I got to also eat amazing food, and reconnect with friends from all phases of my life – what could be better?! When I arrived in Maine pre-Visiting Day, I was busting to see my girls. Like.could.not.take.it.any.more!! I had visions of literally eating them when I saw them in a few days! I knew they had been happy at camp from the letters, pictures, and calls, but I could not wait to physically touch their skin, hold their arms, smell their hair, and kiss their cheeks. Visiting Day was wonderful and I know parents across Maine camps shared the same sentiments. The kids were happy, the lakefronts were beautiful, and the directors and staff were attentive and adept. Families enjoyed touring camp, and getting to see their kids’ friends, counselors, and projects. They enjoyed lunches, shows, activities and more. For me, it was great to see my third-year camper’s friendships become even more meaningful year after year. And, for my younger, first-time camper, it was a real treat to see her in her new environment and meet her big “camp sister.” While we were sad to leave our kids at the end of the day, we could tell how happy they are and how much they are growing. The experiences beyond Visiting Day were equally amazing. Whether families stayed in Portland, Kennebunkport, Freeport, Augusta, or beyond … all families with whom I spoke tremendously enjoyed their accommodations, cuisine and activities. I, for one, ate a lot of lobster and oysters, and thought I’d gone to heaven with a delicious Maine blueberry crisp. I also enjoyed a Maine Foodie Tour, where I learned a LOT about the food and history of Portland, Maine. I got to visit with friends from my hometown, friends from college, friends from my work life, and parents of my daughters’ camp friends. Some friends liked doing that too, while others enjoyed downtime with their spouse where they could relax, refresh and reconnect on a Maine golf course, taking scenic morning walks/runs, and enjoying delicious meals. For campers who were staying half session at a Maine camp, Visiting Day represented the end of an unforgettable summer camp experience. For full season campers, Visiting Day marked the midpoint with so many fun traditions like Color War, shows, incredible out-of-camp trips, and more still to come. Campers and parents alike don’t want to wish time away … but we already can’t wait to do it all again.